An NGO-run shelter home in Dhenkanal -- 106 km from state capital Bhubaneswar -- was sealed last Sunday. 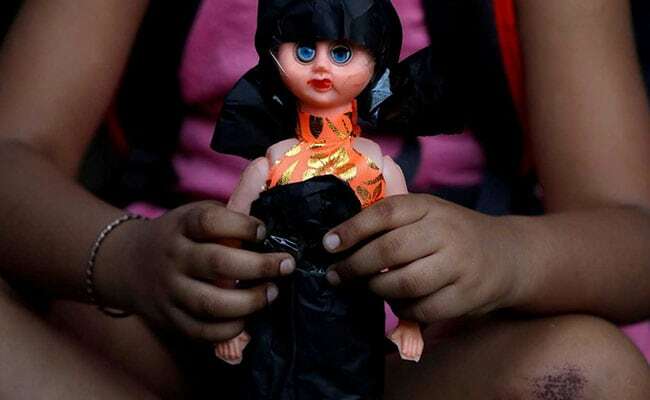 The National Commission for Protection of Child Rights will conduct inspections at 56 randomly-selected children's home in 19 districts of Odisha in the aftermath of the alleged sexual abuse at a shelter home in Dhenkanal district. An NGO-run shelter home in Dhenkanal -- 106 km from state capital Bhubaneswar -- was sealed last Sunday and two people, including its managing director, were arrested following allegations of sexual harassment. NCPCR chairperson Priyank Kanoongo, in a letter to Odisha Chief Secretary Aditya Prasad Padhi and Principal Secretary at the Women and Child Development Department Anu Garg, said the first phase of inspection by the NCPCR is scheduled from Wednesday and a meeting with the state government and authorities would be held on Thursday. District Child Protection Units and Child Welfare Committees would also participate in the inspections at their respective districts. The inspections are being conducted on the direction of Women and Child Development Minister Maneka Gandhi who asked the NCPCR to get all the homes inspected. Ms Gandhi, in a letter to Odisha Chief Minister Naveen Pattnaik dated December 7, said it is a matter of great concern that the incident only came to light when some of the girls residing there confided in media and accused the shelter home in-charge of sexual abuse. The WCD minister has also set up an inquiry in the case which would be headed by WCD Secretary Rakesh Srivastava.